Early hours of the 1st May 2016. 127mm. Meade Apo with 2.5xBarlow and QHY5v planetary camera with IR filter. 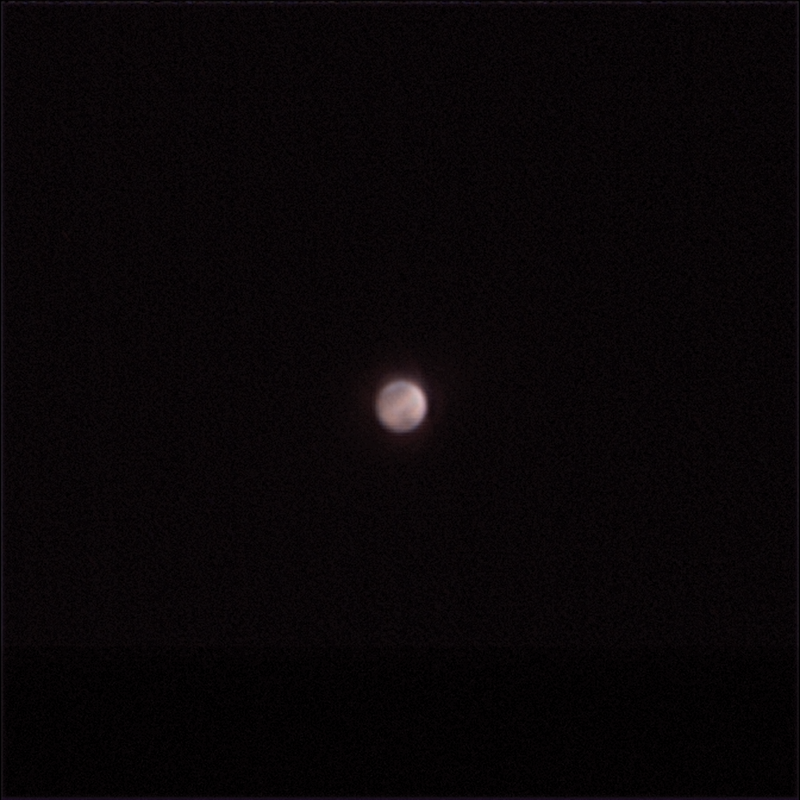 First very blurry and tiny 2016 image of the red planet. It is so low in the sky that I can only see it between the roofs of my neighbours' houses for a few minutes. Could make out the northen polar cap, some albedo markings and some cloud on the limb. Always a thrill to see Mars every two years or so.